You must have heard the famous proverb “Laugh And The World Laughs With You, Cry And You Cry Alone”. What does this proverb mean? .This means that you always need to save for that rainy day .The National Pension scheme helps us to save funds for our retirement years.” A Good Beginning Makes A Good Ending.”The Government Of India wants all its citizens mainly the salaried working class to provide for itself for their retirement years .More than 50% of our population will be more than 60 years post 2050.Clearly an indication of forward thinking. The US Social Security Scheme also has a system where funds are given to retired, sick and disabled citizens which the worker is entitled to based on his earnings record and at what age he chooses to receive these benefits . Under this system the current working class of the US supports the retirement costs of retired workers by contributing about 8% of their earnings and their employers contribute another 8%.Whether this system will work is up to debate. In India the worker makes the contributions himself to aid him in his retirement years. 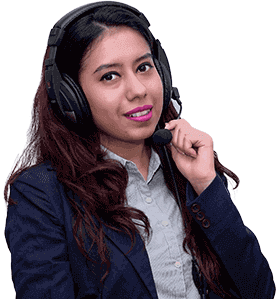 I would like to remind all of you that the team of financial planners at IndianMoney.com are always there for you to plan your financial needs and retirement needs in an efficient manner. You can explore this unique Free Advisory Service just by giving a missed call at 02261816111. No matter how much an individual earns he still has to think of his retirement years. Money is never enough. What about Inflation?.The National Pension Fund provides a cushion through its compounding returns. National Pension Scheme is available to all the citizens of India post May 1st 2009 other than government employees who are already provided for under this scheme, The motive is to provide security to the employees for their post retirement years. This is basically a government approved pension plan for Indian Citizens in the age group of 18-60 years. You have a Tier 1 account where you make your contributions for your retirement years. This is a non withdrawable account. You have a Tier 2 account which is a voluntary savings facility. You are free to make the withdrawals of your savings whenever you wish. Here under the National Pension Scheme you have the option to decide under what scheme or what class of assets you want to invest your National Pension Scheme Wealth. The investment made by the NPS Participant would be eligible to invest in equities up to an upper limit of 50%.Here we have mainly the index funds which replicate the returns of the BSE Sensex or the NSE Nifty 50.They are made in the same proportions as the index they trace. The pension fund will have to choose in advance which index they need to track at least a year prior to investment. The proportions can differ by not more than 5% of the stated proportions. Here whatever Dividends obtained are reinvested in the chosen index of the pension fund. The investments here will be invested in Government securities of the Central and State Governments. The assets are invested in liquid mutual funds, and credit rated debt securities. We have investments in bonds of Public Sector Union Banks and highly rated Infrastructure Bonds. Here if you have invested in the active choice your contributions will be in the following asset classes in proportions as specified by you. Here the investment proportions are out of the hands of the investor .The lowest age of entry is 18 years. The auto choice will be 50% in equities, 30% in Corporate Bonds ,and 20% in Government securities. This ratio of investments will be in place till the participant reaches 36 years of age. After this the weight and proportions in “G” class securities will increase till the investments in government securities reaches 80% by the time the participant reaches 55 years of age. Here the investor reaps the benefits of compounding till he reaches the age of 60.The NPS also offers the flexibility to draw up to 60% of the corpus during your children’s marriage or taking of a loan for housing purposes. The rest can be used to buy an annuity from IRDA Regulated Annuity service providers. The pension fund managers had fixed up a fund management charge of 0.0009%.The fund management charges have now been increased to 0.25% of the invested corpus .Fund managers are also involved in the marketing of National Pension Scheme. Here we need to initially market the financial products and fund managers do the job .However the pension fund managers get only 0.25% of the invested corpus. Compare this with 30% commissions for insurance agents selling insurance products. Fund managers used to initially invest in index funds of mutual fund schemes. They were charged fees for investments in these index fund schemes. The cost was about 1.5% in addition to the 0.0009% charged. However fund managers with an increased fee of 0.25% were able to invest directly in index funds .Fund managers also market the National Pension Scheme and there is no reason why they cannot generate the necessary returns. Corporates are very willing to handle and manage the pension funds of Government Employees for a fee. Here the government funds charge 0.0102% for the fund management. However the corporate entities will charge around 0.25%.instead of the fees the government pension funds charge. Here the companies can choose either pension funds managed by corporate entities or pension funds managed by government pension funds. Here the private NPS has currently three funds .Asset class” E” which invests in equities. Here the maximum possible proportions investible in equities is 50%. Asset class ‘C’ invests in Corporate Bonds , and asset class ‘G’ invests in Government Securities .In case of funds managed by government pension entities there isn’t much of a choice .A proportion of 55% is invested in government bonds or securities, A proportion of funds 30-40% is invested in Corporate Bonds backed by a high rating, Only 15% is invested in Equities. Here Corporate entities invest in index funds and Government pension entities in equity linked mutual funds or in equity directly. However Government entities will soon be able to invest in Index Funds. New Regulations are being introduced with this in mind. We have the newly introduced section 80 CCD (2) where 10% of the employee’s basic salary put into the National Pension Scheme is tax deductible. Here an employee who draws 6 Lakhs per annum can get a tax deduction of INR 60000 if his employer puts the money on his behalf in the National Pension Scheme. Here the hitch is that the employer has to offer this benefit to the employees. The company should include this benefit in his pay package.Here 10% is deducted on the basic pay and dearness allowance .The salary has to be restructured accordingly to avail of this benefit. The tax benefits under Section 80 C is available only for tier-1 accounts. The maximum deductible amount is 1 Lakh per annum. Under the budget proposal of 1st April 2012 Employers contribution to the National Pension Scheme can be deducted as a business expense and is tax deductible by the business. Here we can withdraw 60% as a lump sum on attaining the age of 60 years. The remaining 40% has to be annuitized. Here we basically have to take an Annuity Life Insurance. Here the 60% amount can be removed as a lump sum or in a phased manner. If you withdraw any time before 60 years you have to annuitize at least 80% of the amount, The remaining 20% can be withdrawn as a lump sum. Any amount left behind has to be completely removed before the age of 70 as a lump sum. I would like to end this article with the famous phrase “What Lies Before Us And Beneath Us Is A Small Matter To What Lies Within Us”. In order to learn more on this topic , Please look up the website IndianMoney.com.